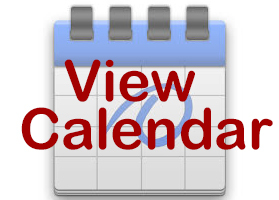 Please click “Register Now” for a ONE TIME rental agreement form. After Rental Agreement is done proceed to click the “You Can Book Me Link” and follow the instructions to view and book your MAIN ICE timeslot. After Rental Agreement is done proceed to click the “You Can Book Me Link” and follow the instructions to view and book your shooting pad timeslot. o There are no refunds or rescheduling for “No Show” rentals, or cancellations within 24 hours of the rental. Come celebrate a Birthday, Team Party, Company or Family Christmas! 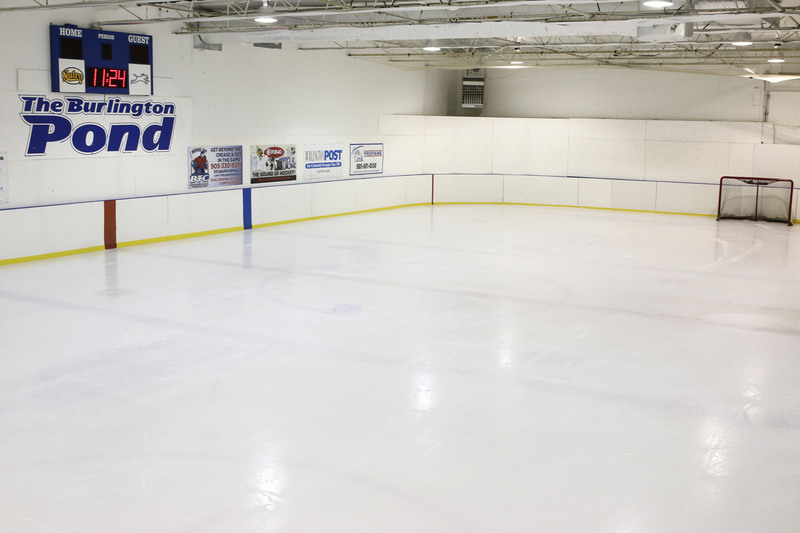 What you do with the ice time is up to you; open skate or 3 on 3 hockey game. Glow in the Dark Hockey or Skating is available too!! 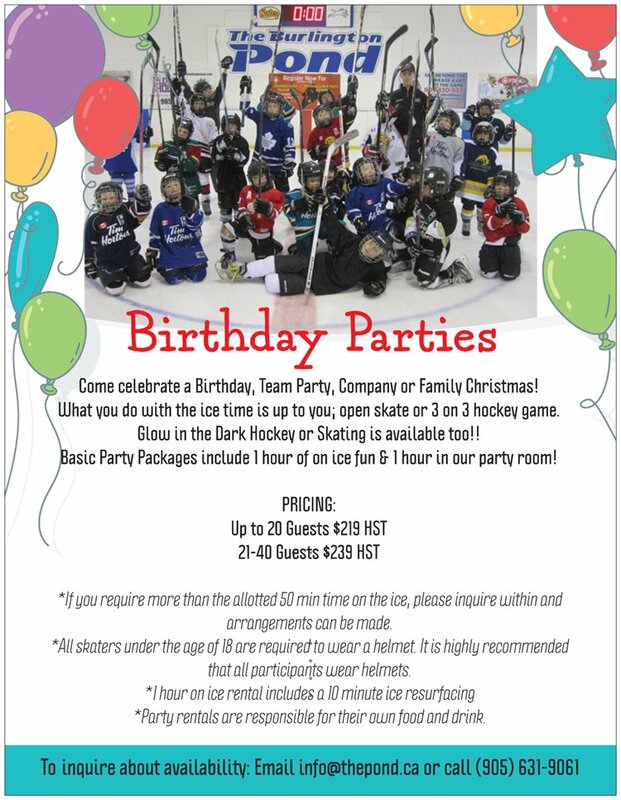 Basic Party Packages include 1 hour of on ice fun & 1 hour in our party room! Party rentals are responsible for their own food and drink. We provide table chairs and tablecloth only. All Facility Rentals require a $100 deposit. *If you require more than the allotted 50 min time on the ice, please inquire within and arrangements can be made. All skaters under the age of 18 are required to wear a helmet. It is highly recommended that all participants wear helmets. Please Email info@thepond.ca or call our office (905) 631-9061 to inquire about availability. 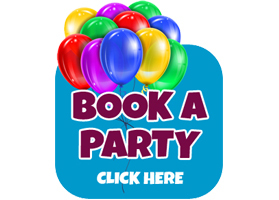 Once availability is confirmed, click Register Now button to reserve your party time. Please put the ice time and room time in the additional comments box.